The Skin Health duo is the ultimate anti-ageing and DNA support supplement. As well as containing your daily multivitamins and minerals, this supplement powerhouse contains Marine Collagen, Hyaluronic acid, Omega 3, Reservatrol, Grapeseed extract, Green tea, Glutathione, CoEnzyme Q10 and Garlic. Meticulously designed and formulated by Dr Ward over 2 years, the duo is a hugely beneficial supplement containing all the components your skin needs on a daily basis to thrive and survive. Each ingredient bridges the common nutritional gaps present in Western modern living to give the skin integral support and a metabolic boost. 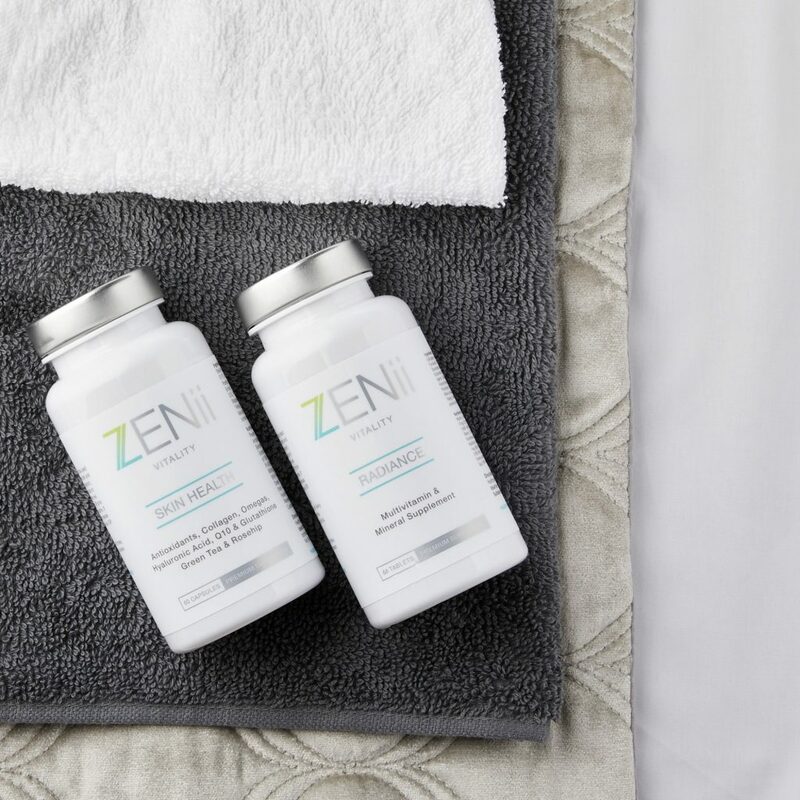 GMO free and gluten free, this supplement is made in the UK and is bespoke to ZENii.